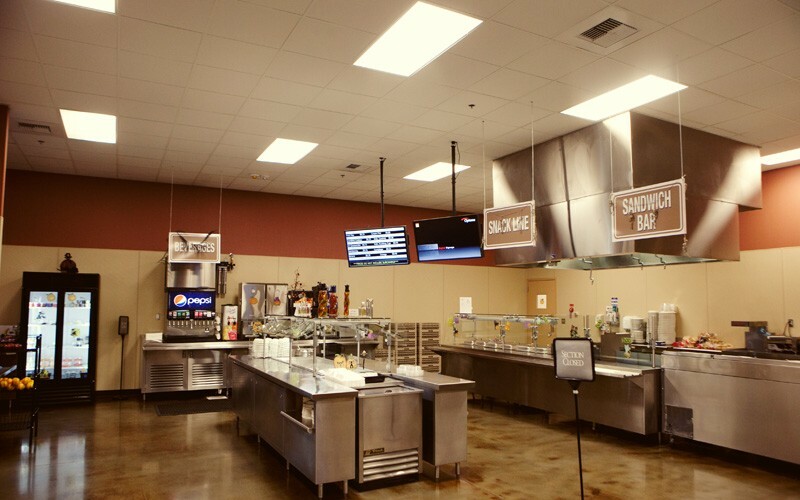 As part of the Creech Air Force Base build-up, a new dining facility was added. The U.S. Army Corps of Engineers entered into a contract with Benchmark Contracting, Inc. dba Cobblestone Construction to perform a design/build process. The finished product created a better quality of life for the Airmen. In short, it increased the seating capacity from 400 to 1,200 per sitting and allows ease by situating the facility close to work sites. 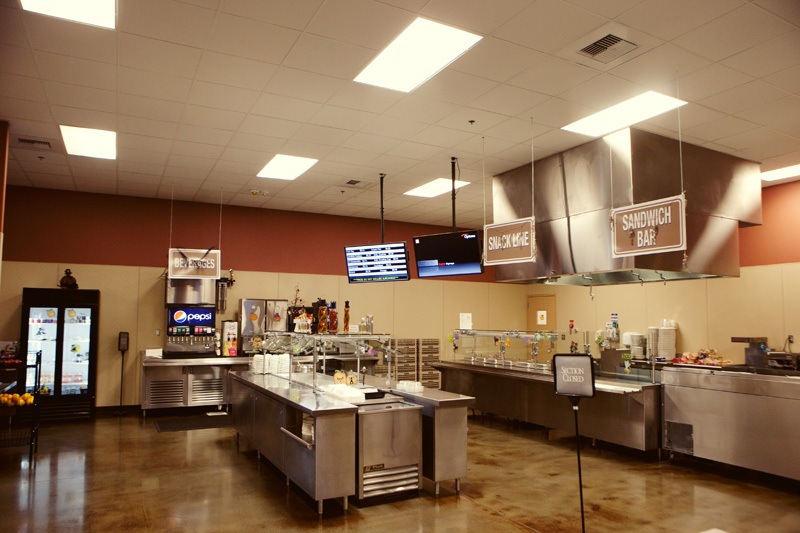 The project consisted of designing and constructing of a 15,300 SF to 18,000 SF dining facility. Project was constructed using a pre-engineered building with reinforced foundation and floor slab, structural steel frames, metal exterior walls, standing seam metal roof, all required utilities, communication support, fire detection/protections, parking, site improvements, landscaping, and all other necessary support. The construction on this facility started in September 2009 and completed in July 2010.